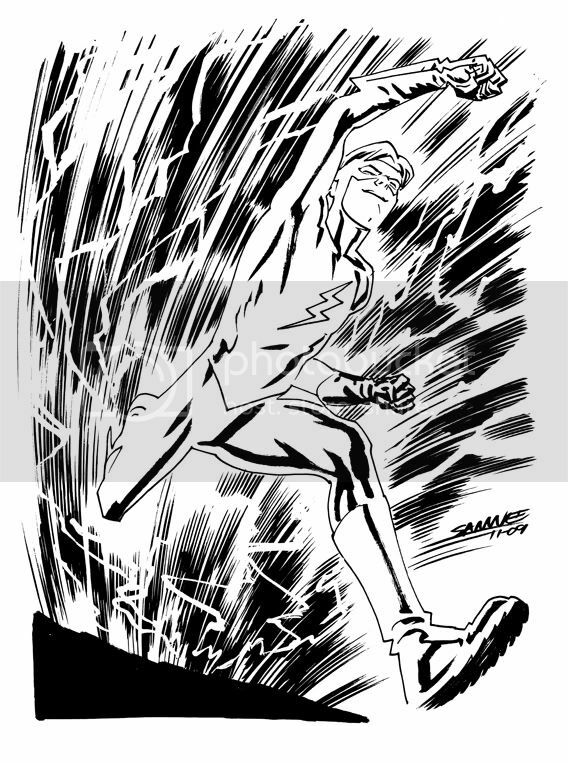 Kid Flash here was a recent suggestion from the überkind Evan "Doc" Shaner via my Twitter feed. I have a pile of sketches to post that came straight from the hive mind that is the Twitterverse. So keep your eyes peeled in the weeks to come. Your style is always cool. beautiful! maybe it's just me, but it feels like there's a little wieringo in there. have a great holiday. Sweet. Love the lightning trail. Oh man, that's fantastic Chris! Blew me away! Like they said above, that's a great angle, and the inking on the lightning and speed strokes is awesome. this piece has crazy action. wicked retarded good crazy action!